In the action-packed skies over the battlefields of Arras, experience “Bloody April” from the perspective of both British and German pilots fighting for their lives. Inspired by vintage comics, Skies of Fury features stunning WWI planes, epic aerial combat, and beautifully handcrafted environments. Dogfight through 50 missions using 10 distinctive aircraft with unique skins, gunsights and flight characteristics. 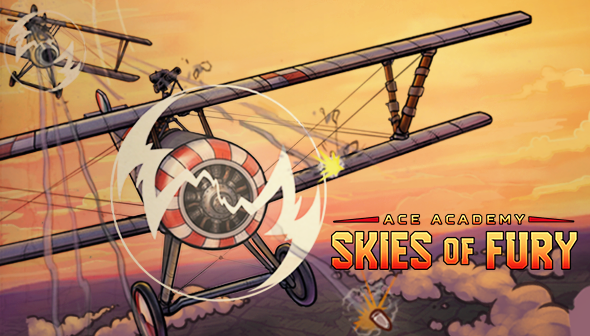 Play Ace Academy: Skies of Fury and battle your way through to become the top ace over the Western Front. The release of Skies of Fury marks the 100th anniversary of “Bloody April”, and endeavours to share its significant historical narrative. This moment in the war is associated with the rise of aces like the Red Baron and Canadian war hero, Billy Bishop. While it was far from glamorous, “Bloody April” continued to demonstrate the utility and importance of airplanes in this new era of warfare. Ace Academy: Skies of Fury was developed in partnership with SEED Interactive and released through Illumination Games, a game publishing company. Skies of Fury is available for download on the App Store and on Google Play alongside the other apps in the trilogy: Ace Academy, and Ace Academy: Black Flight. It’s spring 1917. The war in the air is deadlier than ever, will you survive? Click here to download the press materials for Ace Academy: Skies of Fury.